It vanished into thin air. Around 90 per cent of the Red Planet’s atmosphere was probably lost to space over just a few hundred million years, according to a key measurement from NASA’s Mars Atmosphere and Volatile Evolution (MAVEN) spacecraft. Today Mars is a freezing, arid desert with an atmosphere 1 per cent as dense as Earth’s and its water mostly locked up in polar ice caps. But most planetary scientists think it was not always so. Certain Mars soils contain minerals that on Earth are produced in the presence of water, and some Martian features seem to point towards ancient lakebeds and even fast-flowing rivers. To have retained this liquid water, the planet’s carbon dioxide-dominated atmosphere must once have been much thicker to limit surface evaporation. 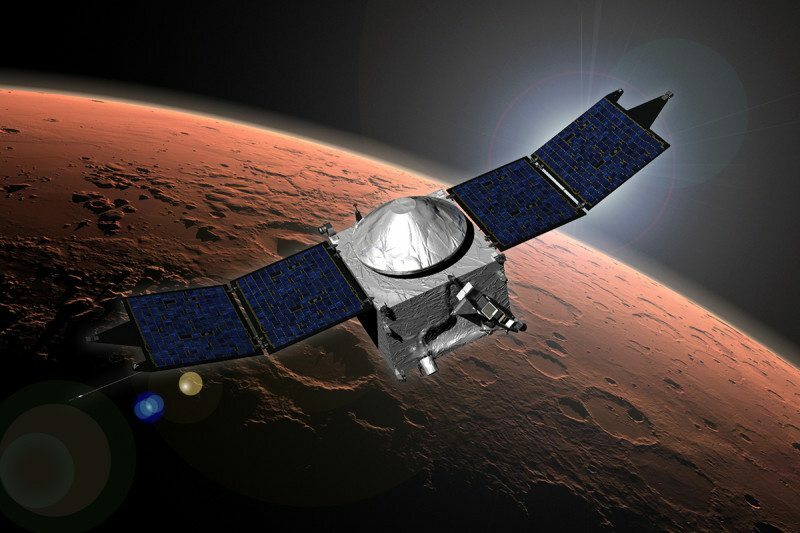 MAVEN has been orbiting Mars since 2014 on a quest to find out where all that CO2 went. It could have gone into the ice caps, into the rocks as carbonate minerals or it could have been lost to space.